Most business owners understand the imporance of marketing, but many struggle with similar problems. If you struggle with these or similar problems, you’re not alone. But there’s a solution. 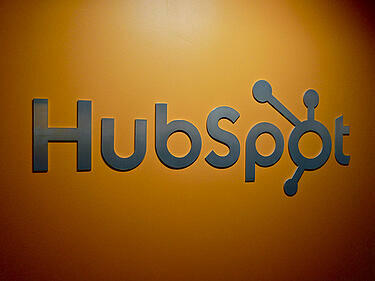 Here’s why you should use HubSpot to solve some common marketing problems. Leads are converting on my site, but I don’t know what other actions they’ve taken. If you have landing pages with forms, and other conversions opportunities set up on your site, then great. You have the basic engine for generating leads built and operational. Leads don’t just appear out of thin air and vanish after they’ve converted though. Before they converted on your site, every lead was on a journey that led them to that conversion. With HubSpot, once a visitor converts into a lead, you can see what actions that lead took on your website before the conversion. Maybe there was a particular page the lead visited that helped seal the conversion. It’s the same after a lead converts. Any time the lead comes back to your site, you’ll be able to see what pages it visited, and when. You can even set up lead revisit notifications inside HubSpot so you know the moment a lead revists your site. I want to optimize my site for mobile, but it’s so expensive. A recent study found that mobile visits accounted for 28% of total web traffic in Q3 2013. That number is expected to grow, so making sure your site is mobile-optimized is critical to ensuring everyone who visits your site has a good experience. Bad experiences mean leads will be less likely to convert. To optimize a site for mobile, the site needs to be coded in a certain way that makes it responsive. Most web developers are capable of doing this, but hiring a developer to re-code an entire site for responsiveness can get very expensive very quickly. HubSpot’s Content Optimization System (COS) is designed to be responsive and mobile-optimized right out of the box. 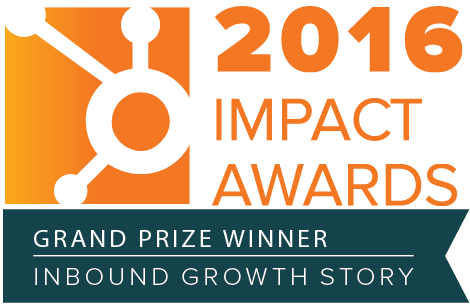 It’s included in the cost of HubSpot. When you become a HubSpot customer, your site will be moved onto the HubSpot COS, and just like that, you’re mobile-optimized. I’m spending money on PPC ads, but I don’t know if they’re working. So you’re running some Adwords or social media advertising campaigns and spending thousands of dollars per month to drive what you assume is qualified traffic to your website. You’re getting visits and conversions, but you’re not really sure how much of them are a direct result of the money you’re spending on your advertising. Where’s the ROI? Sound familiar? When you use HubSpot to assist your advertising efforts, you can add UTM tracking codes to the links in your ads. UTM tracking allows you to finally see how many of your visits and leads your advertising dollars are driving. Knowledge like that can be used to tweak and change your ads to try and improve them. I have a social media strategy, but I’m not sure how effective it is. If you’re publishing content and actively engaging with other users on social media, you’re already doing a great job. Where many business owners get confused, though, is how to actually measure how effective those actions are. With HubSpot’s social media publishing tool, you can see the number of clicks each link you post on Twitter, Facebook, or LinkedIn receive. You can use data like this to help you decide which social media platforms your audience is really spending its time on, or which blog post titles generate the most clicks. These are just a few of the marketing problems you can solve when you use HubSpot. Hubspot is really an all in one marketing platform, so you can use it to cover all your marketing bases - from SEO to email campaigns.